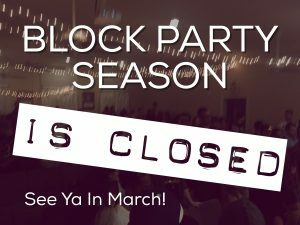 The 2016 Block Party season has come to a close! It’s been an amazing year, with lots of ne See you all in March for the 2017 season!! !